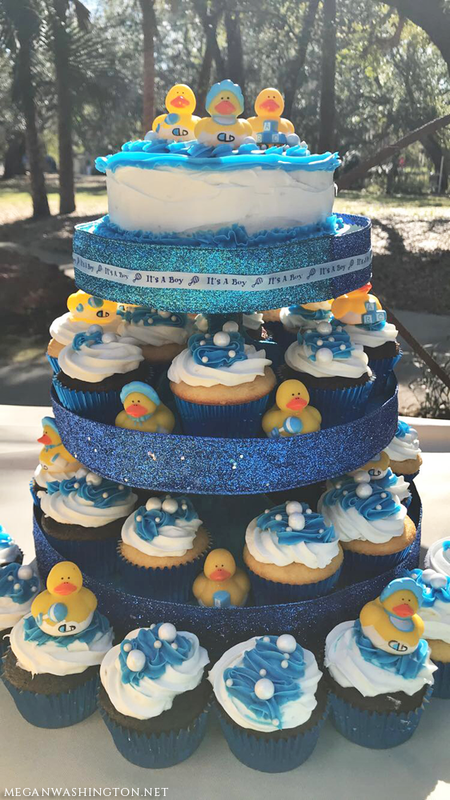 My sister-in-law had her baby shower recently and I wanted to give her the best treats display that none of her friends would have. I’m pretty sure I succeeded. It took a ton of hours from start to finish with all of the different things like painting, glittering and icing. Since she is expecting a boy, I chose to run with the color blue. 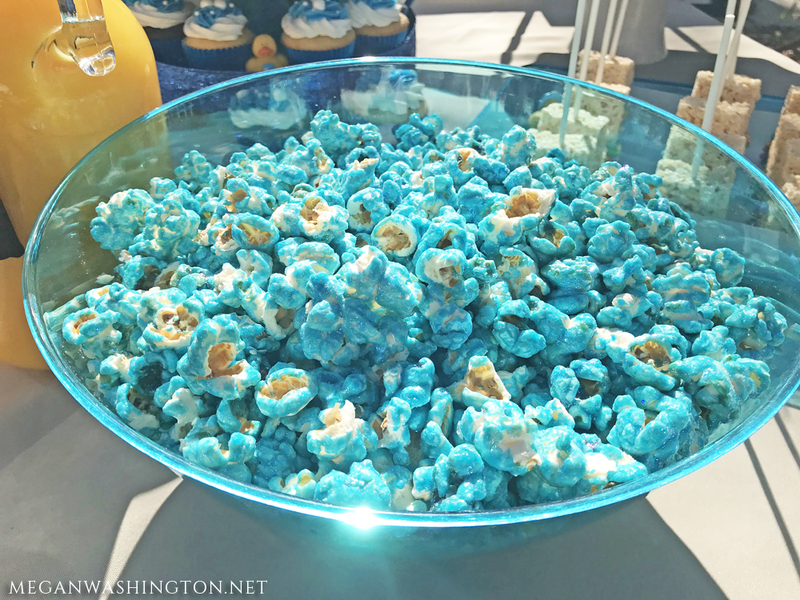 The first treat I actually ordered from a company in Orlando–sparkly blue popcorn. I believe I ordered the gallon sized bag in case you’re trying to figure out how much you need. 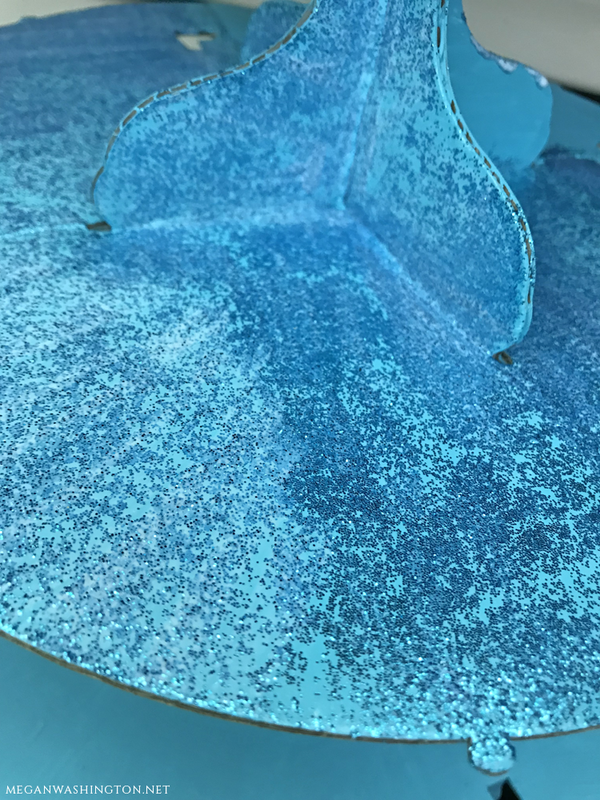 I purchased an inexpensive blue bowl at Party City. 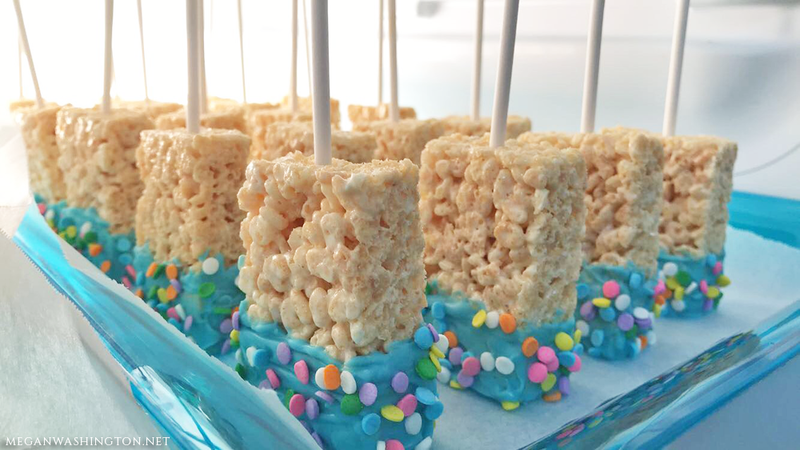 The second type of treat that I made was a oldie but a goodie–rice krispies treats! For these I purchased lollipop sticks, sprinkles and colored chocolate melts in addition to the pre-packaged rice krispies treats that you can buy in the store. These were super easy and everyone was taking selfies and posting them to their Instagram accounts so it was a fan favorite, for sure. They are pretty self explanatory. 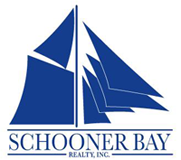 You’re going to want to take your tray and line it with wax paper or parchment paper–just something so the chocolate won’t stick to the tray itself and wreck your design. Step 1: Take a rice krispies treat and insert a lollipop stick into it. Step 2: Dip the rice krispies treat in the melted chocolate about half way. Make sure you let the excess chocolate drip off. Step 3: Lightly sprinkle the chocolate since it is still wet. This will ensure that your sprinkles stay on. Step 4: Sit your rice krispies treat on the tray standing up with the stick in the air. Step 5: Once you are done creating the amount that you need, you’ll want to place them in the refrigerator so you can harden the chocolate. The last treat that I made was a bit adventurous because I decided to create a homemade cupcake tower with all the trimmings. 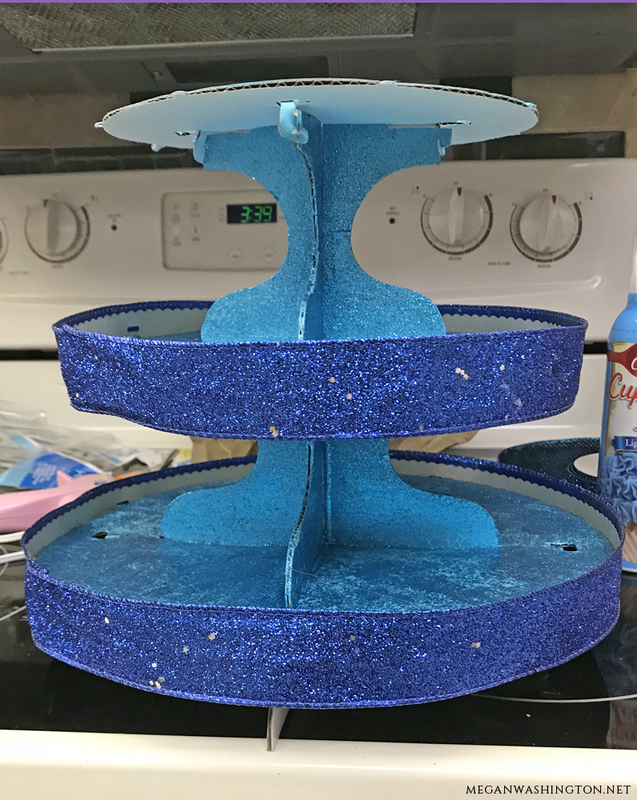 I purchased this plain white cupcake stand for $7.98 and wanted to make sure it was memorable for my sister-in-law. I painted it a light shade of blue to try to match the other treats that I had made. 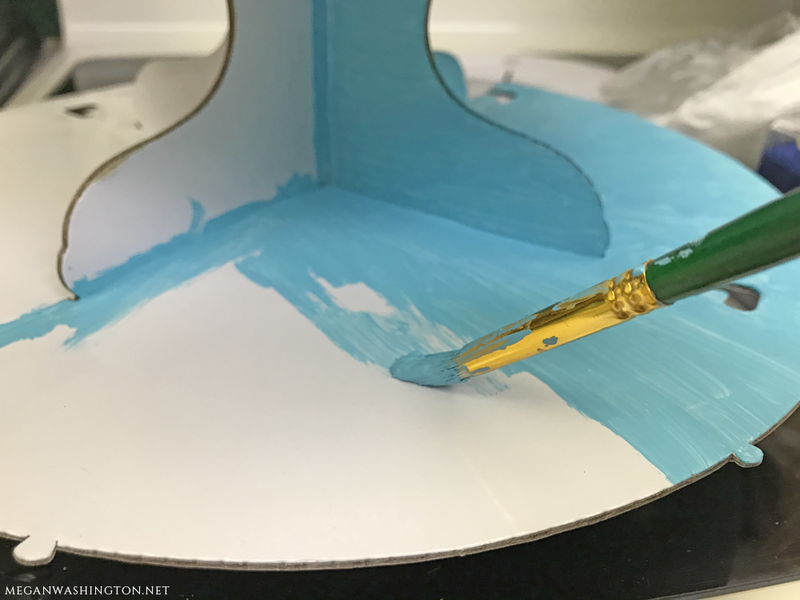 Next, I used Mod Podge (Gloss-Lustre) to mix with a light blue glitter to put over the paint. 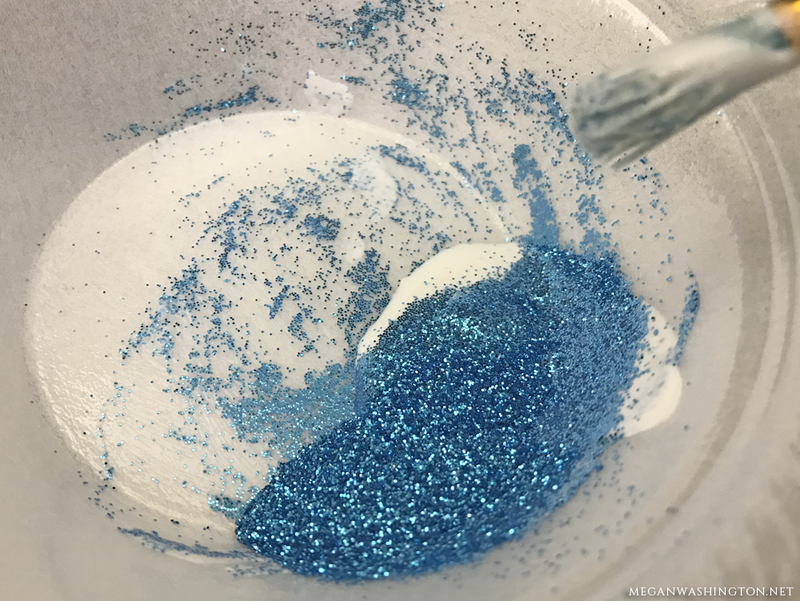 You’ll have to be patient with this step because it will take awhile if you’re trying to coat it and have an all glitter consistency. I think it took me about 3 go-arounds. I’ve never decorated a cake before so I was not the most talented with having straight lines with the piping aspect. 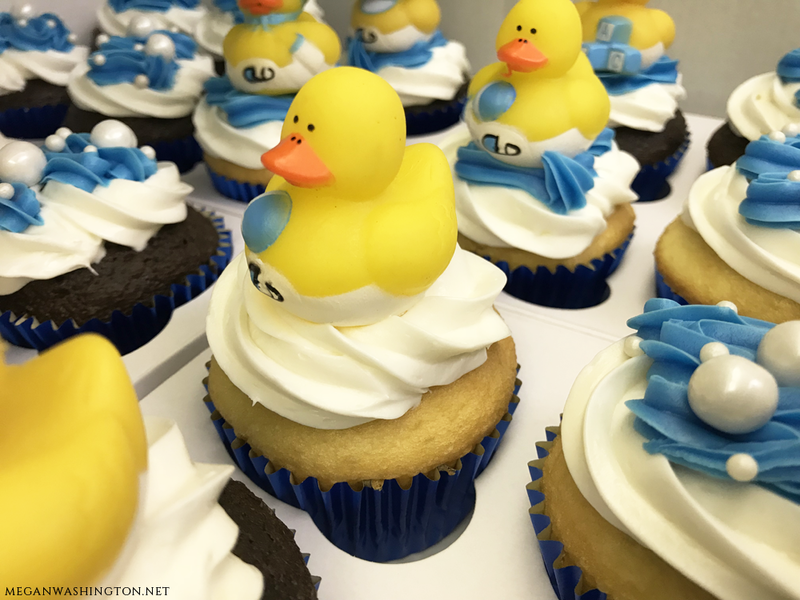 My idea was to create rubber ducks in the tub so I originally iced the cupcakes with white icing and then added blue to represent the water. I purchased little white chocolates and pearl sprinkles to act as the bubbles in the tub on the cake and cupcakes. 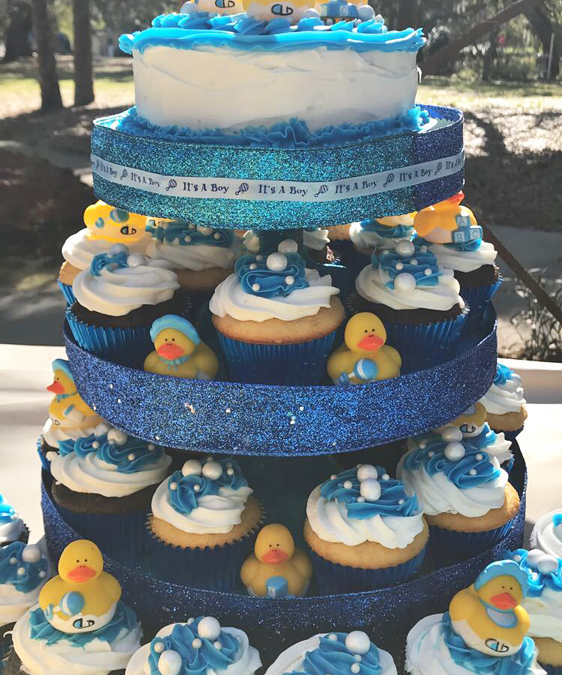 So, yes, they were edible (the ducks, however, were not). The finished product! Everything was fairly inexpensive, but it took some time to assemble. 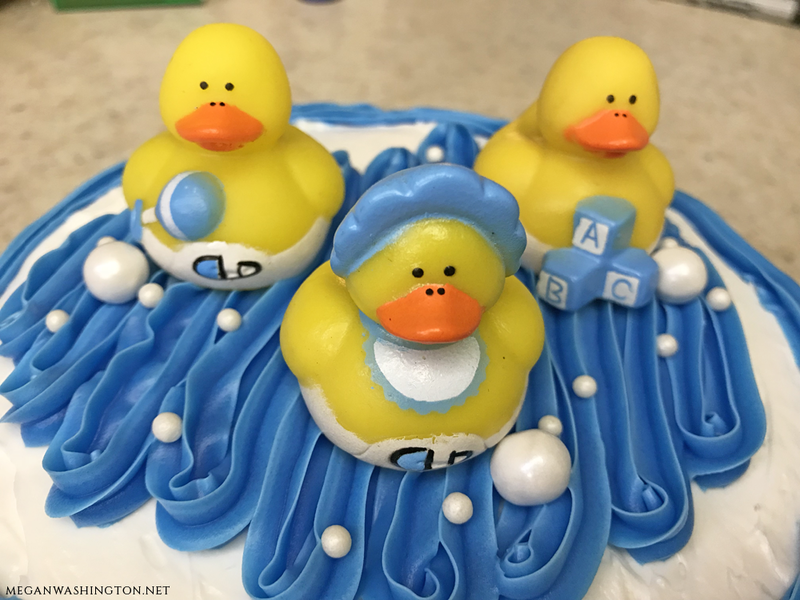 I hope you liked all of the cute things that I created for my sister-in-law and/or that it gave you some ideas for your own project.